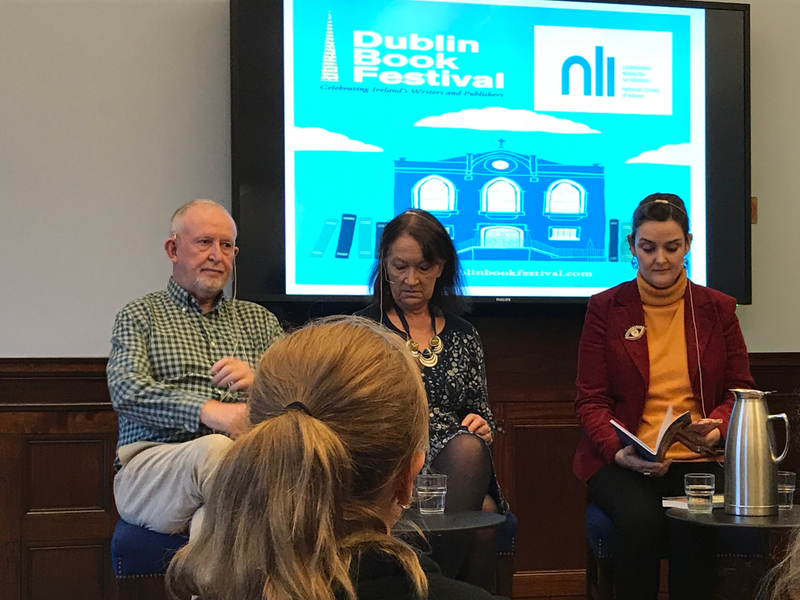 Taking part in the lively and entertaining panel discussion were Eilís Ní Dhuibhne, Nuala O’Connor, and William Wall. The writers’ contributions came thick and fast, and were expertly moderated by Paula Shields. Clearly, my photograph (below) caught all three of the writers at an unusually sombre moment. Their discussion was frequently humorous, with some good-natured disagreements – or more accurately, some varying shifts of emphasis – and a lot of very illuminating observations about the ‘hard work’ involved in the crafting of the short story. This post is an impressionistic ‘take’ on last Friday’s discussion. It was fascinating to listen to the ebb and flow of the conversation. 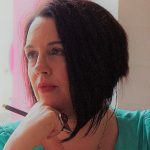 To see how one writer’s insight lifted the lid on something dark and mysterious in the writing process. To watch how the others responded. To hear how the writers’ experiences of the short story form converged or, just occasionally, differed. The short story must leave gaps for the reader to fill in. It is a form that is both contained and precise. It explores the lives of ‘submerged populations’, and it does so by dealing with ordinary lives in an extraordinary way. The short story is a brief moment in a character’s life: brief but significant. It is a moment of insight, of revelation. It is a moment of intensity. In Chekhov’s phrase, the short story ‘lifts the veil’ and allows us to see what is underneath. The short story will explore one key truth. The short story often responds to something that is going on now, today. It can offer an immediate response to political events, for example, like Joyce’s ‘Dubliners’. Should the short story have a hook? Should it not? What it should do is draw the reader in as quickly as possible. But throughout the narrative, it’s also important to withhold information. The writer shouldn’t have to ‘spell it all out’. The reader must be trusted. The short story should be a contraction of experience. It often deals with unacknowledged lives. Do Irish writers excel at the short story because we are a ‘secretive people’? Because we are familiar with ‘coded expressions’? Inspiration for the short story comes from many places – including from the work of other writers. Read a good book, start a new story: carried along on a wave of enthusiasm, of admiration for the work of others. How did she do that? How did he create that effect? I want to try that. Silence in the short story is imperative. The reader should hear all that is not said. It explores the individual at a certain point in his or her life. Character is key. The reader will intuit the ‘submerged archetype’ in the short story, will feel a sense of recognition. The ending of the short story should ‘bend over backwards and kiss the beginning’. The hour was over all too soon. At the end, we the audience would also have liked to go back to the beginning. 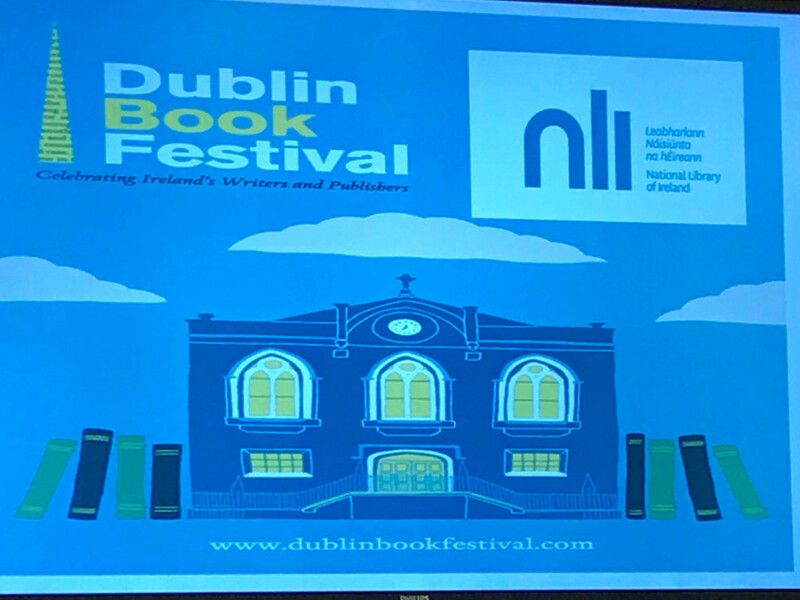 And on the 19th November, the longlist for the International Dublin Literary Award 2019 was announced. 141 books, 115 cities, 41 countries, 16 languages. 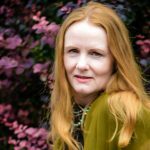 Ten Irish authors on the longlist – congratulations to all of them. You can read all about it here: www.dublinliteraryaward.ie.